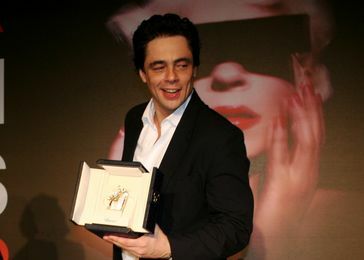 A film from France won the top award and pairs of films from Italy and Latin America were honored with top prizes as the 2008 Cannes Film Festival came to a close tonight. Laurent Cantet‘s “Entre Les Murs” (“The Class”) won the Palme d’Or as a jury lead by Sean Penn presented the awards. 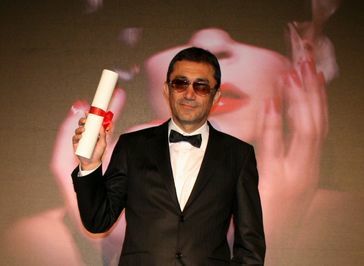 The best director honor went to Nuri Bilge Ceylan for “Three Monkeys,” while Jean Pierre Dardenne & Luc Dardenne received the award for best screenplay for “Le Silence de Lorna.” Two competition films from Italy were among the big winners: “Gomorra,” directed by Matteo Garrone won the grand prix runner-up prize and the festival’s jury prize went to “Il Divo,” directed by Paolo Sorrentino. The recipient of an extended standing ovation, actor Robert DeNiro presented the Palme d’Or tonight prior to the festival’s closing night screening of his latest film, “What Just Happened.” Awarding the prize to Laurent Cantet, jury president Sean Penn noted that the award was chosen unanimously by the panel. “Thank you so much, I’m moved that the film touched the jury unanimously,” Cantet beamed, accepting his award while surrounded by a large group on stage. The French film follows Francois, a high school teacher who is preparing for a new year in a tough neighborhood. Considered non pompous or overly strict, his extravagant frankness is often a surprise for his students. His classroom ethics, however, are put to the test when his students begin to challenge his teaching methods. On a night when the Cannes jury honored a French film, Gallic acting legend Catherine Deneuve took the stage to receive a special award tonight. 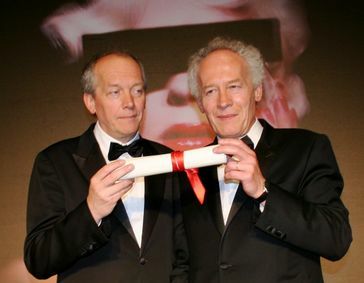 The jury created a special Prix de 61st Festival de Cannes to celebrate the careers and new work of both Deneuve (“Un Conte de Noel”) and Clint Eastwood (“Changeling” or “The Exchange”). Other winners: Andreas Dresen‘s “Wolke 9” (Heat Throb Jury Prize), James Toback‘s “Tyson” (The Knockout of Un Certain Regard) and Jean-Stephane Sauvaire‘s “Johnny Mad Dog” (The Prize of Hope).